Title: PENTAGON CAUGHT RED-HANDED!! FABRICATING "INSURGENT" ENEMY AND PLANTING FALSE NEWS STORIES! Subtitle: Consistent with past behavior, and with the kind of lying I observed during my time in U.S. Army Intelligence, The Pentagon has been caught creating the key Iraqi "insurgent" Al Zarqawi and planting totally false stories in Iraqi Mass Media. When I was stationed in Okinawa for 3 years during the Vietnam War era, at a Pentagon-type intelligence facility, I learned that our government lies daily to the American people. 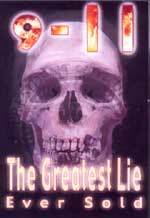 All facets of the Federal Government lie -- White House, Pentagon, Congress, and Mass Media. With my Top secret - Crytpo clearance I could see daily the lies the American press was feeding the American people. As I came home in March, 1972, my mind set had totally changed; I no longer trusted the American government, nor any of its leaders, no matter which party they represented. Further, I especially did not trust American TV, newspapers or radio. American news is either slanted or a "pack of lies". We have posted a number of recent articles about the total untrustworthiness of American news and American political leaders, as listed below. If you have not yet read them, please take a moment to do so now. * NEWS2106 - "OH, NO! HERE WE GO AGIAIN -- U.S. 'PSYOPS' PROPAGANDA USING SAME TACTICS AGAINST IRAN THAT THEY USED AGAINST IRAQ TO JUSTIFY AN INVASION!" However, the lies in which The Pentagon has recently been caught are more specific and carry more potential tragedy than the ones we have enumerated in the articles, above. THE PENTAGON INVENTED AN ENEMY "INSURGENT"! "Abu Musab Al Zarqawi has been presented both by the Bush administration and the Western media as the mastermind behind the 'insurgency' in Iraq, allegedly responsible for the massacres of Iraqi civilians ... The Bush administration in official statements, including presidential speeches, national security documents, etc. has repeatedly pointed to the need to 'go after' Abu Musab Al Zarqawi and Osama bin Laden." The number of officials who have repeatedly held forth the dire specter of such a grave and brilliant enemy of America, runs right up through the President himself. Listen as President Bush intones on and on about how grave a threat posed by Abu Musab Al Zarqawi. Once again, the truth is found in the opposite direction of the Public Rhetoric! Just as American propaganda created the "al Qaeda" threat from the Afghanistan Taliban, whom President Jimmy Carter created in 1979 by Executive Order, so have they created this "Killer" Al Zarqawi! "The official mandate of US and British occupation forces is to fight and win the 'war on terrorism' on behalf of the Iraqi people. Zarqawi constitutes Washington's justification for the continued military occupation of Iraq, not to mention the brutal siege of densely populated urban areas directed against 'Al Qaeda in Iraq' which is said to be led by Zarqawi. Coalition forces are upheld as playing a 'peace keeping role' in consultation with the United Nations. The Western media, in chorus, has consistently upheld the legitimacy of the 'war on terrorism'. It has not only presented Zarqawi as a brutal terrorist, it has also failed to report on the Pentagon's disinformation campaign, which has been known and documented since 2002." "In an unusual twist, the Washington Post in a recent article, has acknowledged that the role of Zarqawi had been deliberately 'magnified' by the Pentagon with a view to galvanizing public support for the US-UK led war on terrorism: 'Villainize Zarqawi/leverage xenophobia response', one U.S. military briefing from 2004 stated. It listed three methods: 'Media operations', 'Special Ops (626)" (a reference to Task Force 626, an elite U.S. military unit assigned primarily to hunt in Iraq for senior officials in Hussein's government) and 'PSYOP', the U.S. military term for propaganda work...' (WP. 10 April 2006)"
At this point, you might argue that we should not get too upset over this major lie, because Al Zarqawi was created to manipulate only the Iraqis; if you have believed this, you are sadly mistaken. This next segment (quoting from the Washington Post) makes it quite clear that the American public was also a major target for this major lie. The Washington Post article does not report this link, above, but I do not doubt this allegation one bit. Most of the wars in which America has been involved since the days of Zbignew Bzrezinski and President Carter have followed a blueprint originally conceived by the Illuminati through a "Think Tank". This next segment of our featured article gets to the point of the cooperation and/or manipulation of the Mass Media in propaganda efforts by the Administration. "Zarqawi has been identified by the US media as being behind the 'insurgency' in Fallujah, Tal Afar and Samara. He was held responsible for the Amman hotel bombings as well as terrorist attacks in several Western capitals.. He is indelibly behind the suicide bomb attacks in Iraq as confirmed by the Washington Post: 'The ruling Shiite leadership has Zarqawi squarely in its sights. He has led the suicide bombers whose Shiite victims are now climbing into the thousands'." ( 11 December 2005). Now, let us consider the ways in which Al Zarqawi has been held responsible. Keep in mind that Al Zarqawi is now an admitted creation by US PSYOPS! Therefore, even the timing of American withdrawal is tied to the mythical Zarqawi. * "The backbone of the insurgency appears to be an alliance between the die-hard Baathists and the network of terrorists mostly under the command of Abu Musab Zarqawi ..."
* "In Fallujah, the siege of the city, which resulted in thousands of civilian deaths was described as a battle against the 'Zarqawi network' ... The following night, the U.S. military said in a statement that it conducted "another successful precision strike" on a meeting of "approximately 10 Zarqawi terrorists" in central Fallujah." Fallujah is one city almost totally wrecked by American forces, with many civilian deaths -- and the entire operation is now known to have been based on a lie -- a propaganda lie. What was the purpose behind creating Al Zarqawi? Did you catch the pertinent points demonstrating the lies being fed to American news media? * "The purpose is to portray the enemy as a terrorist, to mislead public opinion." * "The propaganda apparatus feeds disinformation into the news chain." * "The underlying objective is to galvanize public opinion in support of America's Middle East war agenda." Not only did President Bush lead America into the Iraq War based upon lies, his Administration has continued the lying all along the timeline since March 20, 2003. The lies told by the Bush Administration to galvanize support for the Afghanistan and Iraq wars is far more pervasive and effective than similar lies told by the Nixon Administration during the Vietnam War. PSYOPS has become a whole lot more sophisticated, at the same time that the American people have become more "dumbed down" and more susceptible to being manipulated. 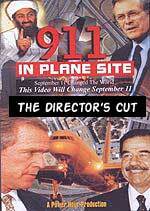 The entire 9/11 attack scenario was nothing more than a government provocateur operation, where Illuminati agents flew airplanes into the World Trade Center and most likely a cruise missile into the Pentagon ("In Plane Site" video); further, the entire scenario of going to war in Afghanistan and Iraq was similarly a government provocateur operation, and now we discover that the "War On Terror" and the war in Iraq were nothing more than a sophisticated PSYOPS operation! But, Cutting Edge subscribers knew all of this long, long ago. Concerning Al Zarqawi, we reported the June 27, 2005, story in an Egyptian newspaper which claimed that Al Zarqawi was an "American agent". ""In a June 15, 2005 editorial titled 'All the Evidence Proves that Al-Zarqawi is an American Agent', a leading Egyptian government daily Al-Akhbar's states that Al-Zarqawi is working for the U.S. and is massacring Iraqis in an effort to extend the occupation in Iraq ... All Evidence Proves that Al-Zarqawi Works for America". In the past year, so many atrocities and suicide terrorist attacks have been blamed on Abu Musab al Zarqawi, to the point where most people accept these stories without question. Yet, if al Zarqawi is truly an American agent, then we have the picture that a false terrorist leader has been created by American propaganda to be the "straw man" who could be blamed for all apparent terrorist acts in the whole Middle Eastern region. Since al-Zarqawi has been created, the mythical "al-Qaeda" is now purported to be in Iraq, Saudi Arabia, Jordan, Egypt, the Sinai, and in the Gaza Strip -- as well as in Europe, Great Britain and the United States. 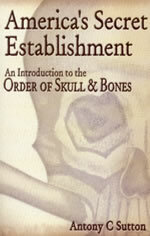 When Bill Cooper (Behold A Pale Horse) stated that the Illuminati began planning in 1917 to create a global threat so they could justify the creation of a global government, they could not have planned for "al-Qaeda" or for "al-Zarqawi" any better. Now, any terrorist-type event can be blamed on these entities, and which civilian living in the West would even think to question their intelligence services? Both British and American PSYOPS programs have created the kind of campaign which they believe was needed to get the American people so confused and so misinformed that they would support both the "War on Terror" and the wars in Afghanistan and Iraq. Furthermore, American news giants have meekly cooperated, deceiving tens of millions. 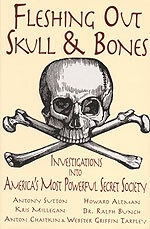 What did the Illuminati Plan say, through the Protocols of the Learned Elders of Zion"? Remember, the truth is often to be found in the opposite direction of the Public Rhetoric. Keep this fact in mind whenever you read or hear any news story which comes from an American source. In fact, people need to stop listening to the major news outlets altogether: ABC, CBS, NBC, CNN, and Fox. For this reason, we draw the majority of our news for Daily News Updates from foreign news sources, who are less controlled than American news media. The End of the Age is rushing upon an unsuspecting world. Are you spiritually ready? Is your family? Are you adequately protecting your loved ones? This is the reason for this ministry, to enable you to first understand the peril facing you, and then help you develop strategies to warn and protect your loved ones. Once you have been thoroughly trained, you can also use your knowledge as a means to open the door of discussion with an unsaved person. I have been able to use it many times, and have seen people come to Jesus Christ as a result. These perilous times are also a time when we can reach many souls for Jesus Christ, making an eternal difference.